It's Not Too Early. But It Can Be Too Late. The middle school years are a pivotal time in a young person’s life, a time to be challenged, engaged, and excited about new experiences and opportunities. An Unparalleled Middle School Experience. Small classes, a dedicated faculty, a diverse community, and a challenging curriculum give our students a solid educational base to build upon. Students come to Harvey prepared to learn and are provided a multitude of opportunities to find their passions and soar. Students leave Harvey Middle School prepared to meet the rigors of upper school and beyond. Middle Schoolers Need To Explore. Our groundbreaking robotics program starts in the Middle School with a dedicated lab space complete with 3-D printers, computers, iPads, and a full array of traditional construction tools and electronics. Our all-female team consisting of a student from each middle school grade won two VEX Robotics Design Awards for their engineering notebook in 2018, and a World IQ VEX Championship Design Award in the science division. Physical fitness is one important foundation for a healthy life, and our Middle School students are encouraged to participate in a wide variety of sports. The Harvey School has 33 sports teams, including 15 at the varsity level, many of which are coached by Harvey teachers.The school has won 26 sports championships since 2000. The school’s beautiful 125-acre campus has an ice rink, weight room, fitness center, six tennis courts, athletic center with three gymnasiums, and six athletic fields. Each year, Harvey students have the opportunity to perform in some of the 10 productions in the black box theater located in The Walker Center for the Arts, the school’s world-class arts facility, where all performing arts classes, concerts, productions, and community performances take place. Middle School students can choose from 14 electives in the areas of art, music, and performing arts. All our Middle School students are involved in annual performances of The Middle School Showcase and the spring Middle School Theatrical Production. All students entering the 6th grade are required to take one year of Latin. The study of Latin has proven to equip students with a strong understanding of vocabulary and language that leads to success in other subjects. 7th and 8th grade students may continue their study of Latin, or move on to study Spanish. 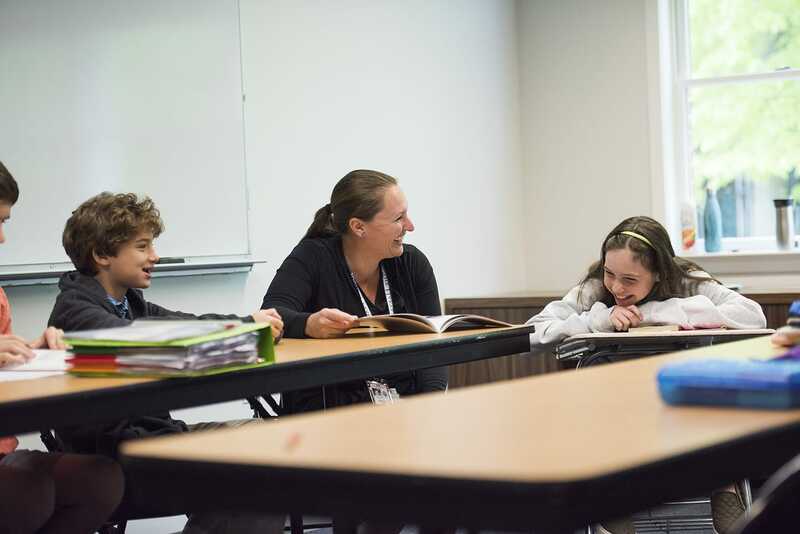 Our Upper School offers the study of Latin, Spanish, and Japanese. Students take several trips during the school year, exploring and discovering the Hudson Valley. They begin with the entire Middle School venturing out to Sharpe Reservation in Fishkill, NY, for a day of hiking, climbing, canoeing and bonding during the first week of classes. Students begin to forge friendships and make connections with their teachers. Other Middle School trips have included Washington Irving's House, Broadway in NYC, Philadelphia, the Museum of Natural History, and the Liberty Science Center. Middle School is the right time to engage your student in their education.